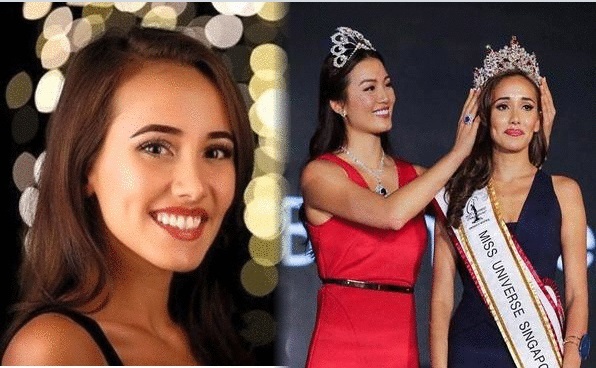 Manuela Bruntraeger, 24-year-old German-Singaporean Fine Arts graduate, won the Miss Universe Singapore crown on Wednesday night, October 11. She was crowned by last year's winner Cheryl Lou. Bruntraeger topped a field of 19 beauties to take the title at the Resorts World Sentosa Convention Centre. Meanwhile, Rudihra Ramathas and Emilbiany Nenggal Intong placed first and second runners-up, respectively. She will represent Singapore in this year's Miss Universe pageant in November in Las Vegas, Nevada. The last time Singapore has placed in Miss Universe pageant was in 1987 through Marion Nicole Teo's Top 10 finished.